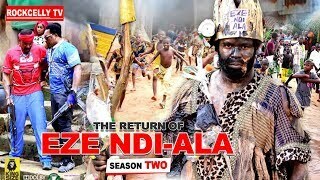 The long awaited "The return of Ezendiala" an award winning Nollywood movie is here. Watch all the actions as they unviel, cartel hit, education All beautifully harmonised in one piece. The irresponsible and evil acts of the king and the supposed elders of a community towards the people incidentally triggered a chain of unprecedented events and actions by some daring youths in that very community. One may never know the true meaning of desperation until one finds himself in a very desperate situation that requires desperate measures.